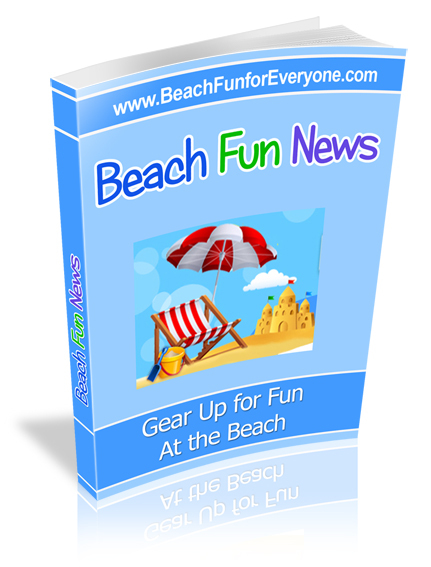 Soft sided coolers are easy to pack and take to the beach. Prevent treats from melting and keep food and drinks cold ...all.day. There are many styles and designs to choose from making them functional and easy to travel with. 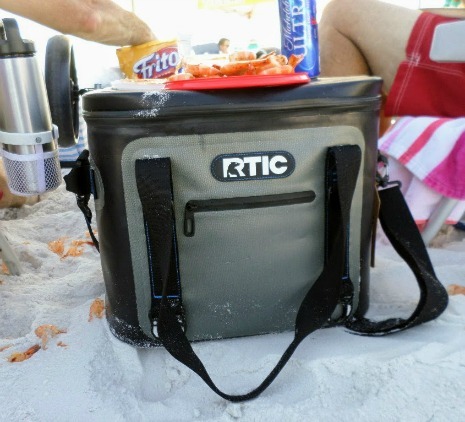 Soft sided cooler bags keep improving and coming down in price - like this one by RTIC. 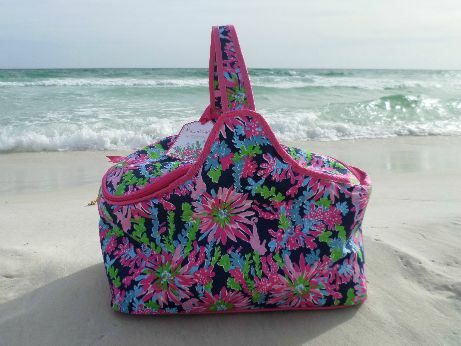 It's leakproof and lightweight enough to carry to the beach. The heavy duty outer layer won't puncture or tear so it will perform well for you for years. The thick layer of insulated keeps cold things frosty cold. A mesh outside pocket holds paper goods or silverware and the sturdy top does double duty as a beach table. This cooler is reinforced with light weight aluminum for extra durability. The cooler we like the best because it folds down, doesn't take much space, is lightweight, easy to carry, durable and most importantly keeps things cold is the Picnic at Ascot Collapsible Basket Cooler. I purchased it after seeing it had almost all 5 star reviews at Amazon. At first I was hesitant about spending the money, but it was well worth it. The outer material is made of thick canvas and the interior is lined with a sturdy plastic that can be wiped clean. The two handles make it easy to carry and extra pockets on the outside provide a place to store plates and napkins. Put a bag of ice on the bottom and your food will stay cold for hours. It does fold flat enough to pack into a suitcase. We use it for other purposes as well. 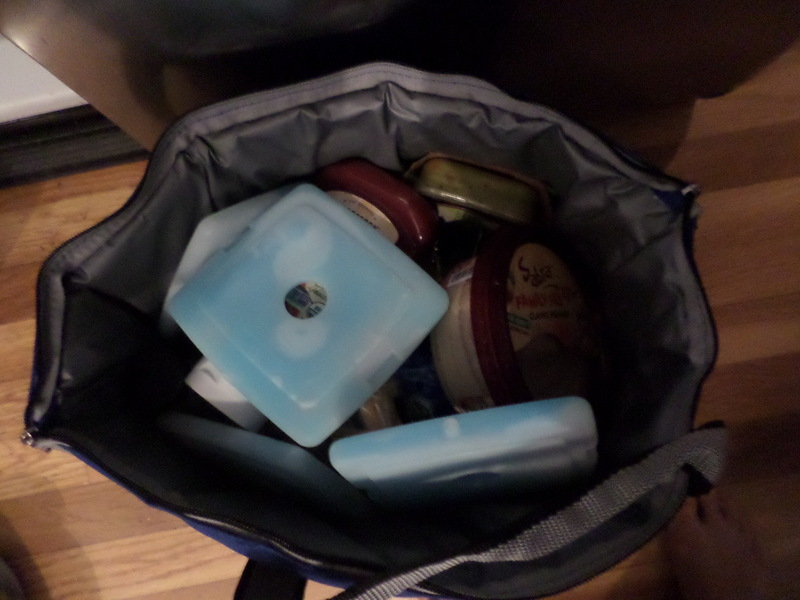 It keeps foods cold or hot when bringing food to a potluck or for keeping food cold when grocery shopping. 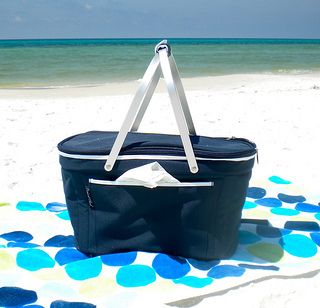 Soft sided cooler bags are lightweight, easy to carry and don't take up much room in your car, suitcase or beach cart. Of course this one is fully insulated and will keep your drinks and food cold for hours with the help of several ice packs. Carrying straps make it easy to carry to the beach or to put in your beach cart. A handy outside pocket for other valuables is a nice feature. 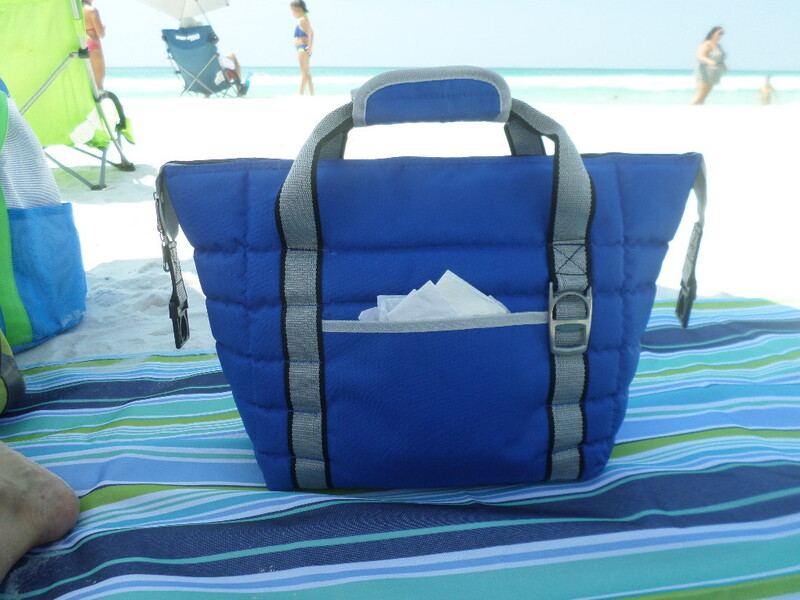 We brought this soft sided cooler bag on our latest beach vacation to Santa Rosa beach. 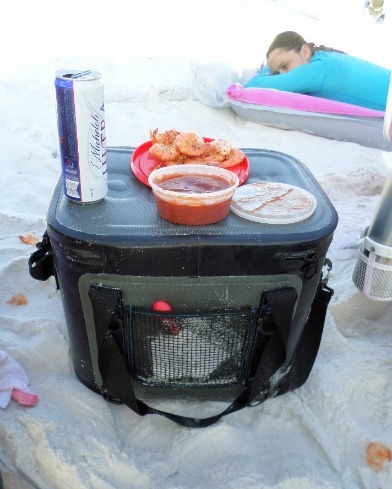 It's so much lighter to carry than a hard sided cooler and easily fit right into our beach wagon. The side pocket can hold napkins or valuables. Because it collapses really flat it is easy to store and to travel with. It travels with us by plane or by car. 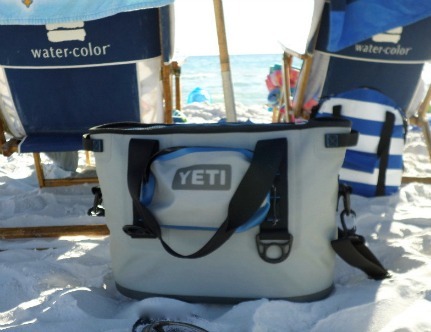 The Yeti cooler comes in two sizes - 20 quart and 30 quart. Why else would you pay $300 for a soft sided cooler bag? The durable, heavy duty stitched fabric means years of use. 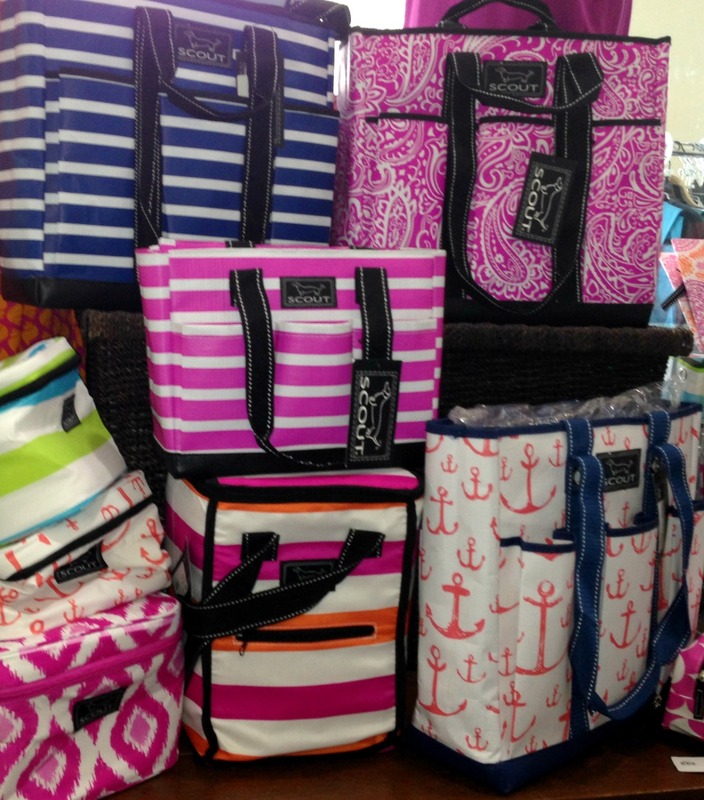 If you want style, color and "cold" to come together in one cooler - choose an insulated cooler with a fun beach themed print like the Scout soft sided bags. SCOUT The Stiff One measures 14 1/4" by 12 1/2" by 9 1/4". The sides are soft but the bottom is hard for durability and to protect heavy bottles or containers. An exterior zipper pocket is a great place for keys, bottle opener or small wallet. 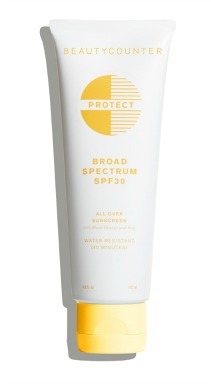 It is of course water resistant, light weight and easy to wipe clean - inside and out making this cooler the right choice to pack and take to the beach. This important piece of beach gear doesn't take up much space and can be easily packed in a suitcase or the trunk of your car.